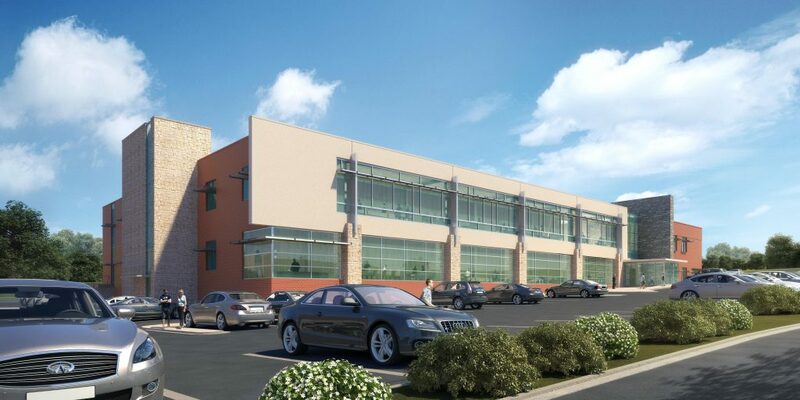 Saint Joseph London – Central East Ambulatory Care Center, to be developed by Denver-based NexCore Group, is scheduled to break ground in early 2019. LONDON, Ky., and DENVER, Feb. 6, 2019 – As part of an ongoing initiative to optimize efficiency of healthcare facilities nationwide for client Catholic Health Initiatives (CHI), national healthcare real estate developer NexCore is breaking ground again, this time in Kentucky. The Denver-based firm announces the development of CHI Saint Joseph Health’s Saint Joseph London – Central East Medical Office Building (MOB) in London, about 75 miles south of Lexington in the southeastern part of the state. Saint Joseph London – Central East Medical Office Building broke ground January 16, 2019. When completed in the first quarter of 2020, the facility will offer a full complement of healthcare services, including primary care; cardiology; general surgery; pulmonary; ear, nose and throat (ENT); diagnostic imaging; cardio/pulmonary testing and rehab; physical therapy; and a clinical lab. Saint Joseph London is a 150-bed full service hospital located in London, KY. Established in 1926, the facility serves patients from southeastern Kentucky, including those from Clay, Laurel, Jackson, Whitley, Knox and Pulaski counties. The current $152 million regional hospital opened in 2010, and offers all private patient rooms, with most overlooking a small lake and garden on the 52-acre healing environment. NexCore Group develops healthcare facilities for hospitals, health systems and physicians. NexCore solves complex real estate challenges through innovative building solutions and creative financial structures. In a rapidly changing healthcare industry, NexCore has the superior expertise to deliver quality environments and flexible spaces that help grow your business, lower expenses and mitigate risk. Over the past 25 years, NexCore has developed and acquired a total of 10.2 million square feet of health care facilities across the country. 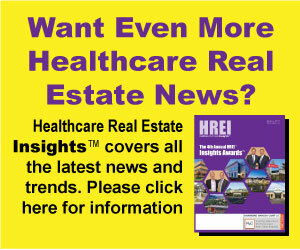 The company has been recognized repeatedly as one of the Top Healthcare Real Estate Developers in the U.S. by Modern Healthcare magazine. NexCore is headquartered in Denver, and as the company continues to grow so does its geographic reach. Over the last several years, NexCore has opened regional offices in Chicago; Bethesda, Md. ; Portland, Ore.; Dallas; Orlando, Fla.; Laguna Niguel, Calif.; and Indianapolis. For more information, please visit NexCoreGroup.com. Contact: Kirstin Barbour, Marketing Director, 303-293-0693.